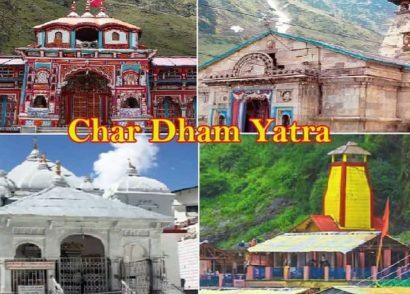 Chardham Yatra is a journey of great spiritual significance in Hindu mythology. It is a journey that will take you through a set of four pilgrimage sites headquartered in all the four directions I.e. Badrinath in the North, Rameswaram in the South, Dham Dwarka in the West, and Jagannath Puri in the East. These four spiritual abodes were defined by Adi Shankaracharya in the 8th century AD which consists of three Vaishnav locations (Dwarka, Badrinath, and Puri) and one Shaiva location (Rameswaram). 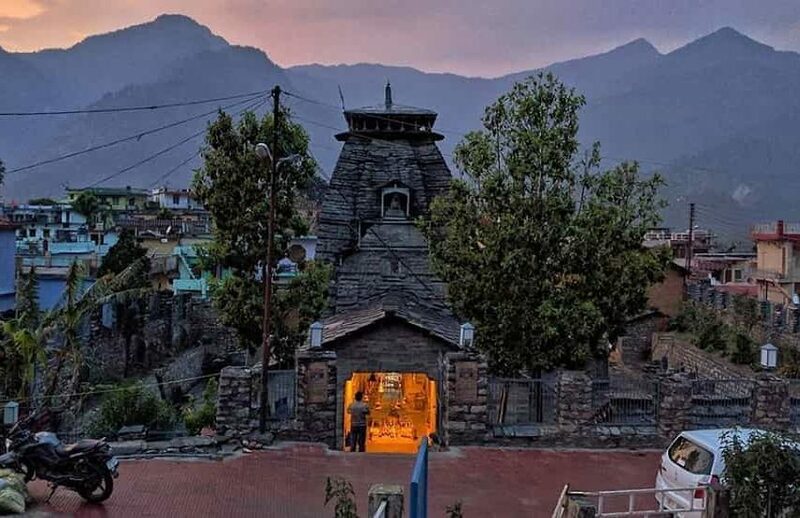 Apparently, there is also one another pilgrimage circuit nestled in the state of Uttarakhand which is called as ‘Chota Char Dham’ for those, who cannot afford to join their path of spirituality for a bigger one. 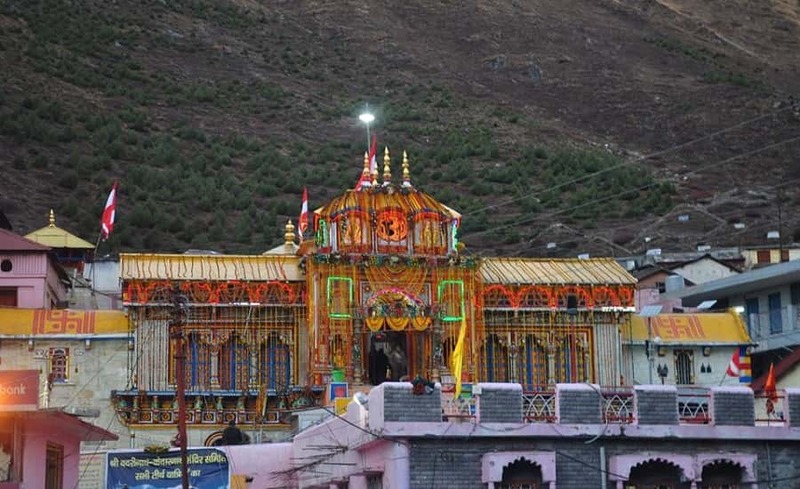 This small circuit consists of four pilgrimage sites as Yamunotri, Gangotri, Kedarnath, and Badrinath. All these four shrines are closed during winters due to heavy snowfall but they are reopened once the summer season starts to approach. 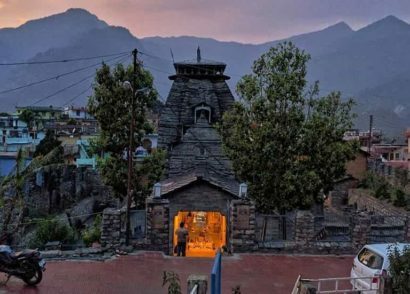 This Chota Char Dham is also a most spectacular journey since it will take you to the foothills of Himalayas. 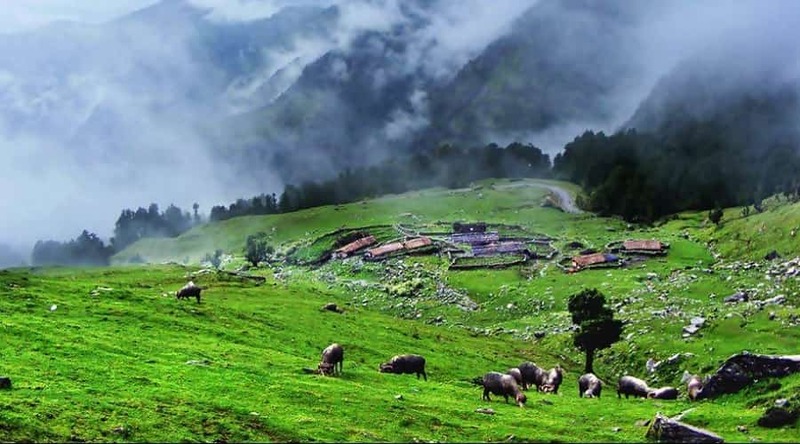 The Chardham Yatra is a blissful journey which will take you through eye-catching landscapes, valleys, meadows and it wouldn’t be any less magical when you found yourself surrounded by everything that is pure and original. It is a journey of a sacred belief, a journey which is believed to wash away one’s sins, a journey that will finally hand you salvation from this painful world. 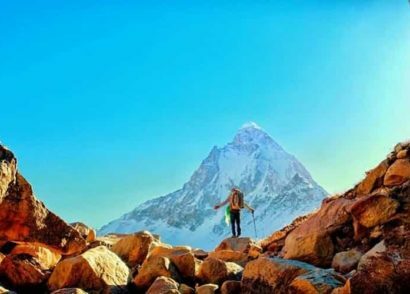 Many people embark on this journey every year be it Indian or foreigners to uplift their spirituality and to free their soul from every kind of weariness. According to the legends, the Indian philosopher Adi Shankaracharya defined these places with the intent of giving human life a chance to free themselves from all kinds of sins in this world and to attain salvation finally. In all these four places- Badrinath, Dwarka, Puri are three Vaishnav sites and Rameswaram is the only Shaiva site. The whole circuit was built under the belief of mutual bond shared between the God Vishnu and God Shiva, who are often believed to be as eternal friends. Due to their friendships, they also resided in a pair at every location. That’s why all these four sites occurred in pair with having one Vaishnav and one Shaiva site simultaneously. 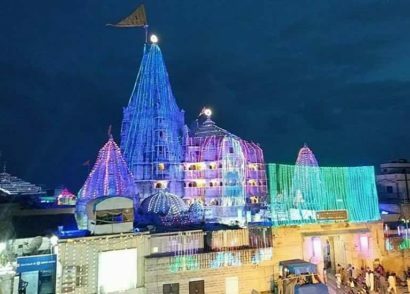 So, Badrinath has an associated site as Kedarnath, Dwarka has Somnath, Jagannath Puri has Lingaraja Temple and lastly, Rangnath-Swam exists with Rameswaram. 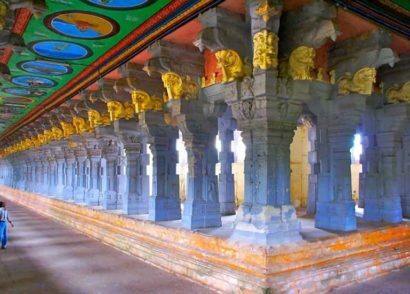 Upon this popular belief, the existence of these temples was laid by the Indian philosopher Adi Shankaracharya. This small circuit of four abodes was laid after the foundation of the original Chardham was defined. 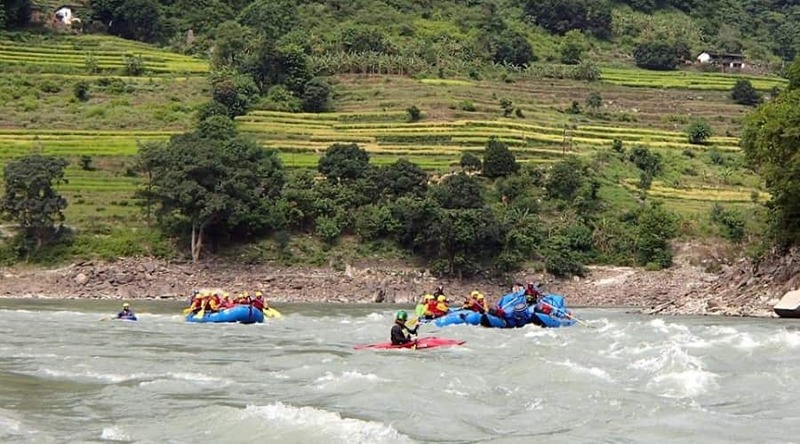 This Yatra is situated in the Garhwal region of the state of Uttarakhand, that will take you on a journey of picturesque landscapes, mountains, valley etc. In this circuit, Badrinath was founded by famous Indian philosopher Adi Shankaracharya and the rest three (I.e. 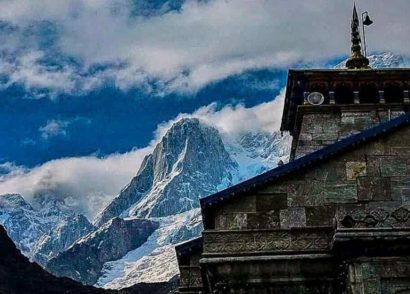 Kedarnath, Gangotri, Yamunotri) later came into existence and marked itself as a journey to be taken when one travel the small circuit of Chardham. 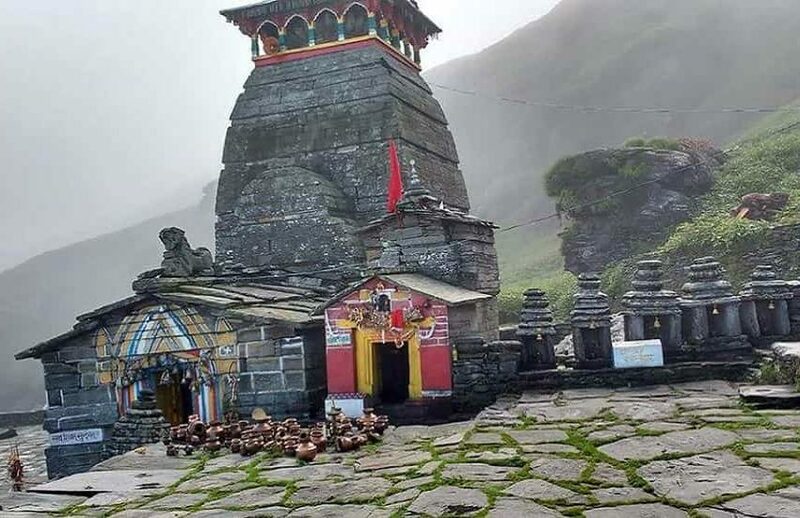 Among all these four abodes, Yamunotri and Gangotri are the two Shakti site, Badrinath is the Vaishnav site, and Kedarnath is the Shaiva site. 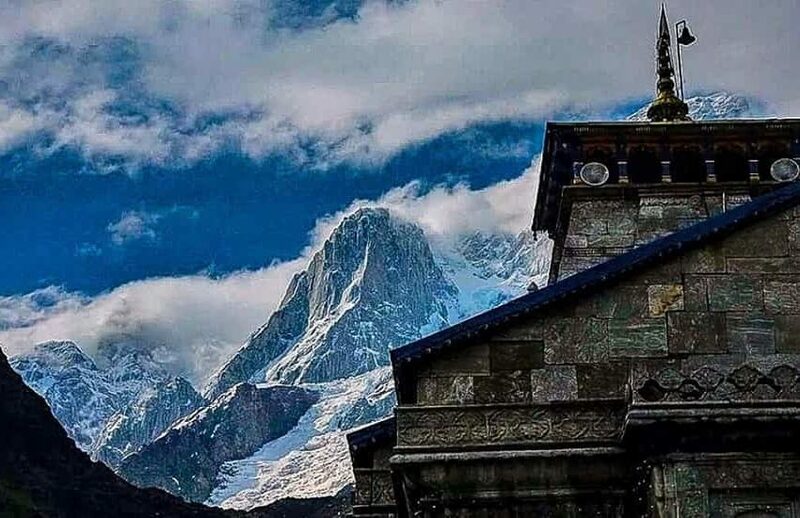 Before the war between India and China in 1962, it was difficult to access all these four pilgrimage sites but after that war, the accessibility to all these four abodes was later improved. Earlier, only the saint visited these sites since it is considered that there is some kind of celestial aura at these places which help someone to connect with great spiritual being. This spiritual journey starts from Haridwar, from where one can first visit Yamunotri, Gangotri, Kedarnath, and the journey end at the final abode Badrinath. 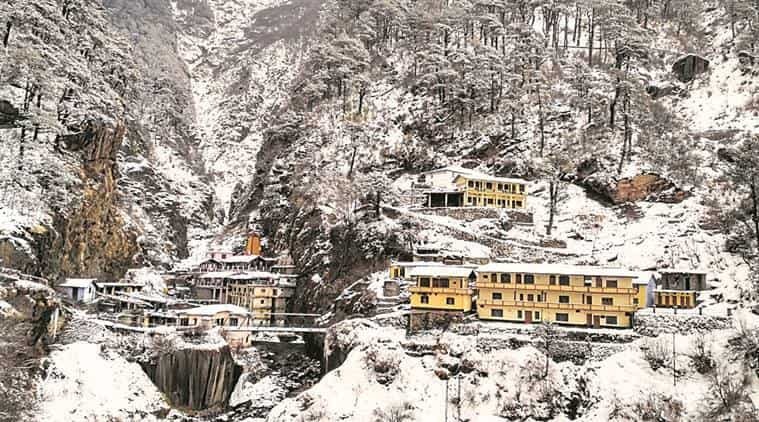 Yamunotri is the first Dham from where a person embarks on a journey to find Moksha and reconnect to the one almighty spiritual being. As per the legends, the famous sage Asit Muni found his spiritual hideout at this place. He spent all his life in seclusion from the entire world here and performed his daily chore by starting his day by taking a bath in both the Ganges and the Yamuna River. And it is believed that, during his old days, he became so weak that it was hard for him to go the Ganges and therefore, the Goddess Ganga make a stream of Ganga flow opposite to the Yamuna for him. 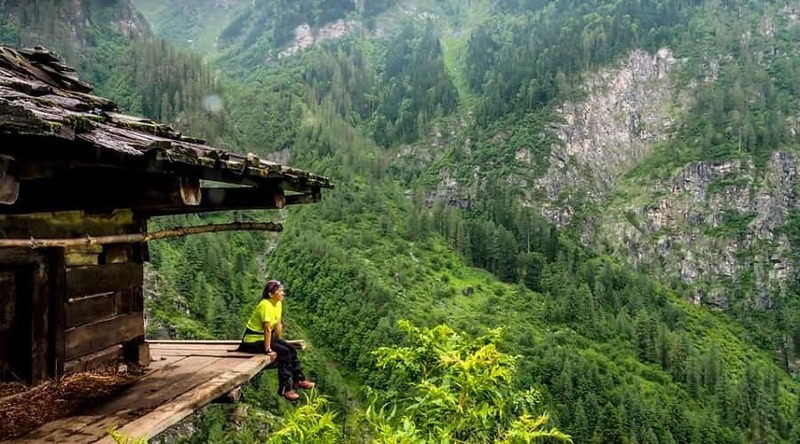 Yamunotri is only 13 km away from the town Hanuman Chatti, and it was Yamunotri temple where people say lay the first abode. The temple is built atop on a flank of Bandarpunch Mountain, and it was constructed by the Maharaja Pratap Shah of Tehri Garhwal. 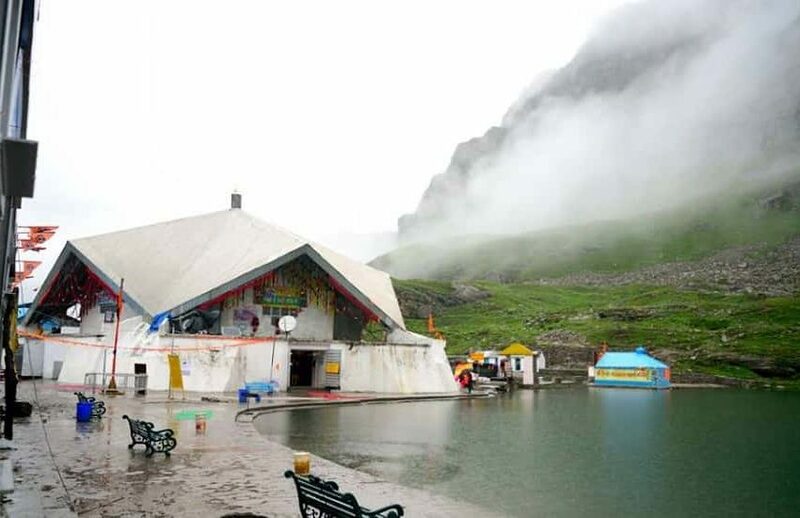 There is a hot spring flowing beside the temple, which is called as Surya Kund and it is believed that taking a bath in this spring washes away one’s sins. The surrounding around this place is so surreal, that one can only dream about. It will take through places that you have never been. Other Places to See Here – Janki Chatti, Hanuman Chatti, Saptarishi Kund, Divya Shila, Kharsali, etc. 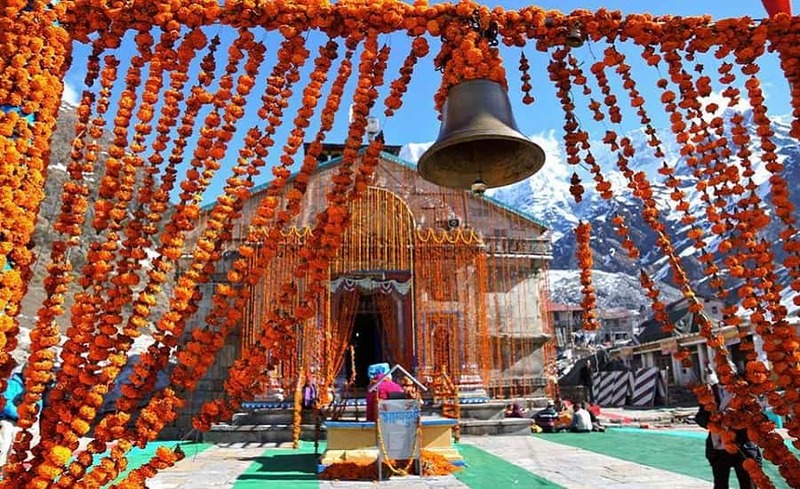 Gangotri is the second Dham of Chardham Yatra or in other way, you can say that this is the origin from where the river Ganga started to flow. As per legends, there was once a king named as Sagara, who slew many demons from the earth and in order to proclaim his superiority, he then sent a horse with his 60,000 sons on a journey of covering every part of this earth. But, his second wife thought otherwise as she feared that her son might be thrown away so she tied that horse to a tree in a sage Kapila ashram. When they started to find the horse, they saw him tied to a tree and caused a commotion, but the sage being innocent in all this episode cursed those sons. So, the grandson of King Sagara, Bhagirath prayed for all sin’s committed by his ancestors and asked for Moksha. 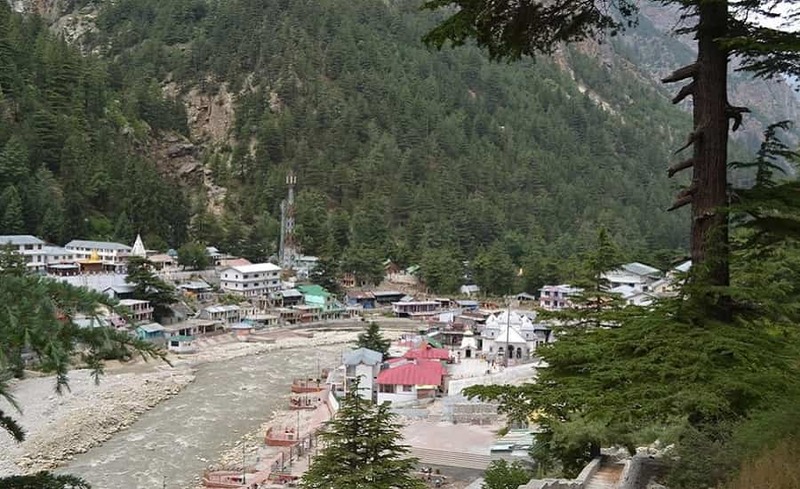 Gangotri is a quaint town in the Uttarkashi district of Uttarakhand state, and it was Gangotri temple which is considered the seat of Goddess Ganges. This temple was built by a Nepalese general Amar Singh Thapa. 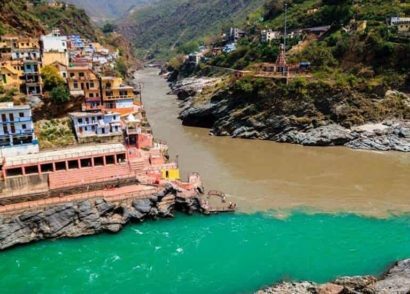 It is believed that river Ganges is the purest of all, where one is supposed to pure his/her soul from every kind of impurity and negative thoughts. The temple is said to be centuries old and is made from white granite. The background also plays a very spiritual role in helping people to reconnect with divine god. 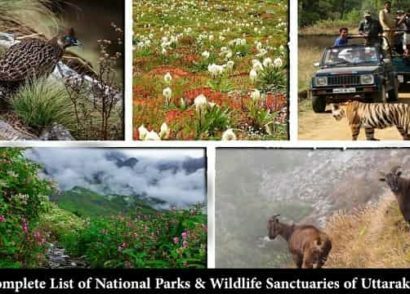 Other Places to See Here – Dharali, Kalindi Khal, Maneri, Gangotri National park, Gaumukh, Jalmagna Shivling, etc. 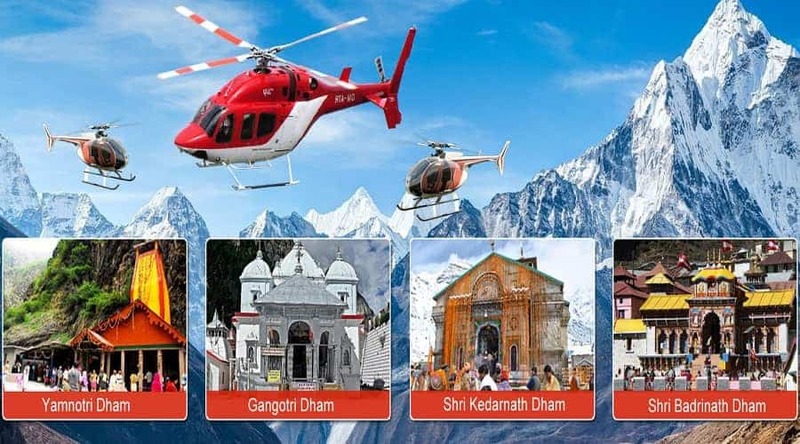 Kedarnath is the third Dham of the Chardham Yatra and the whole town is dedicated to Lord Shiva. According to Hindu Mythology, the Pandavas brother came here after the war to ask for forgiveness from Lord Shiva for killing their kin. But Lord Shiva refused to forgive them for their sins, so he went into hiding from them. However, the Pandavas got successful in finding him but he then followed his hide deep into the earth. Luckily, one of the brothers got a hand of the tail and pulled him by his tail. After then, a temple was built at that place in the regard to offering homage to Lord Shiva. 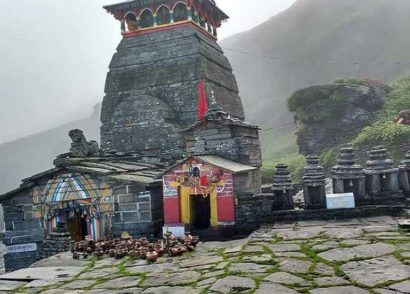 Kedarnath is a small town nestled at an altitude of 3,433 meters above the sea level, in the Rudraprayag district of Uttarakhand. 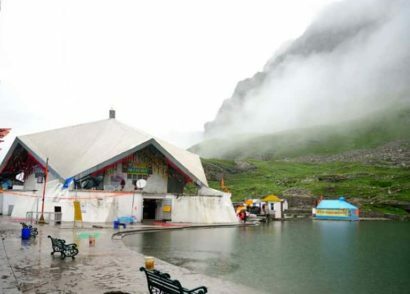 The temple Kedarnath is constructed along the river Mandakini, which got its origin from the river Ganges. And it is estimated that around 60.000 devotees come to this temple every year with a wishful thinking of attaining salvation and getting rid of all their sins. 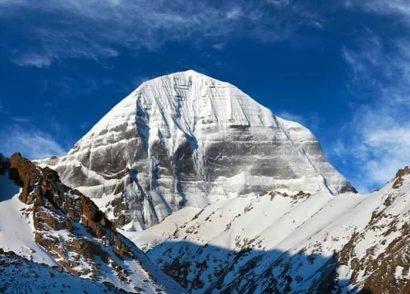 There is one another famous temple named as Jyotirlinga which is believed to be one of the hiding places of Lord Shiva in the form of light. 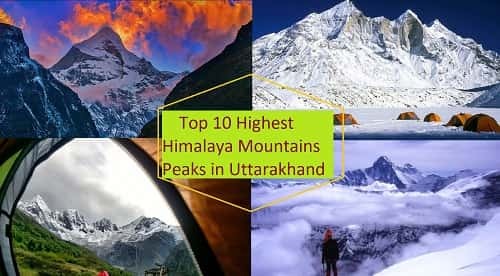 Other Places to See Here – Gandhi Sarovar, Phata, Sonprayag, Gaurikund temple, Vasuki Tal, Triyuginarayan temple, Bhairavnath Temple, etc. 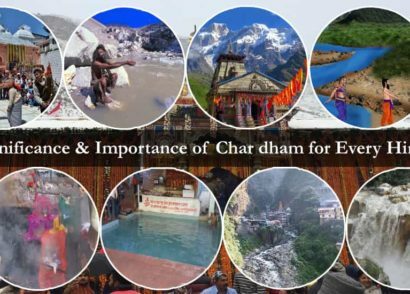 Badrinath is the first Dham from where a person his journey of Chardham Yatra. According to Hindu Mythology, it was this place where Nar-Narayan, an embodiment of Lord Vishnu, went into a deep meditation (I.e. Tapasya). It is widely presumed that during that time, Goddess Lakshmi accompanied Lord Vishnu on his journey and changed herself in the form of a berry tree to protect him from the rain and harsh rays of the sun. And it is said that when his meditation ended, Lord Vishnu recognized the efforts made by Goddess Lakshmi and conversed a prophecy—the whole world would celebrate her name before his at every spiritual event. 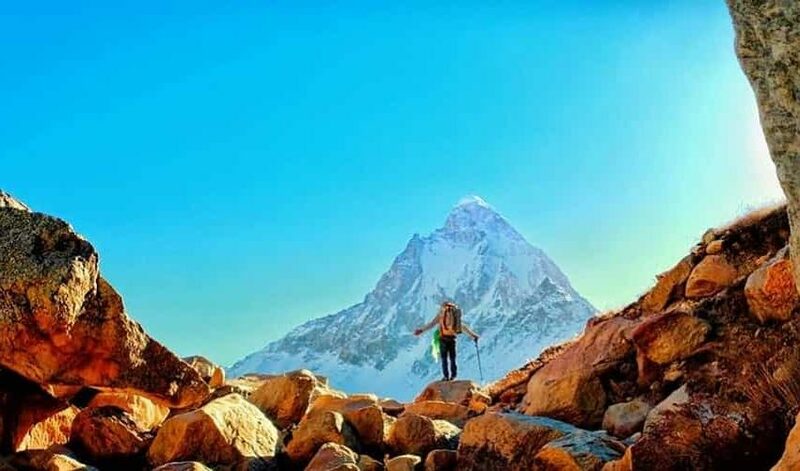 At a height of 3,133 meters in the Chamoli district of Uttarakhand state, lies this small county named as Badrinath on the banks of river Alaknanda. This town is famous for its Badrinath temple where hundreds of devotees come every day to pay their homage to the sculpture of Lord Vishnu. And as per recent estimation, around 60,000 pilgrims visit Badrinath every year. 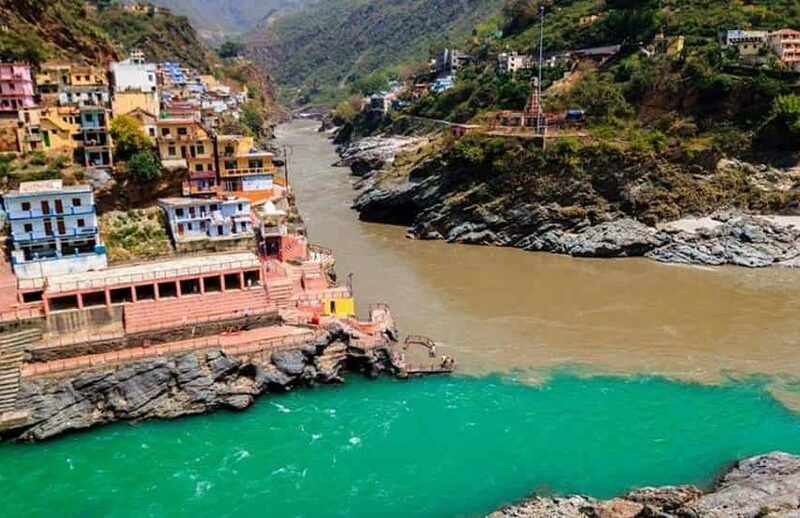 The journey to this Dham is blissful in many ways, as it has great mountain peaks, Alaknanda river flowing in the background which is further helpful in creating an environment where one can easily reconnect with its soul. 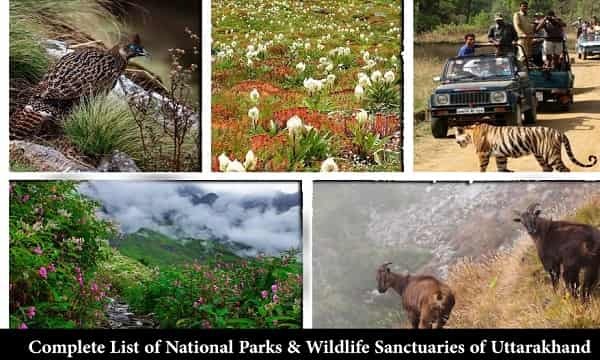 Other Popular Places to See in This County – Tapt Kund, Brahma Kapal, Neelkanth Peak, Mata Murti Mandir, Charanpaduka, Sheshnetra, Vasundhara Falls, etc. 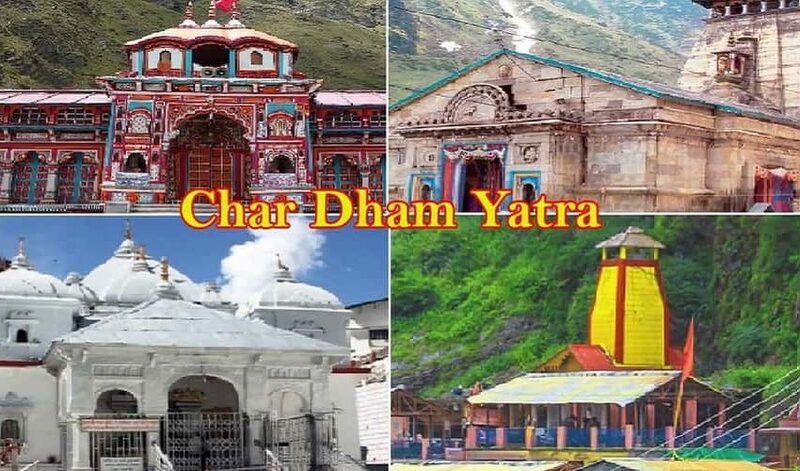 All the four abodes of Chota Chardham nestled in Himalayan regions, that area faces heavy snowfall during winter so it makes these locations inaccessible during that time. Due to landslides in the rainy season, it is not advisable to go to these locations during that time also. 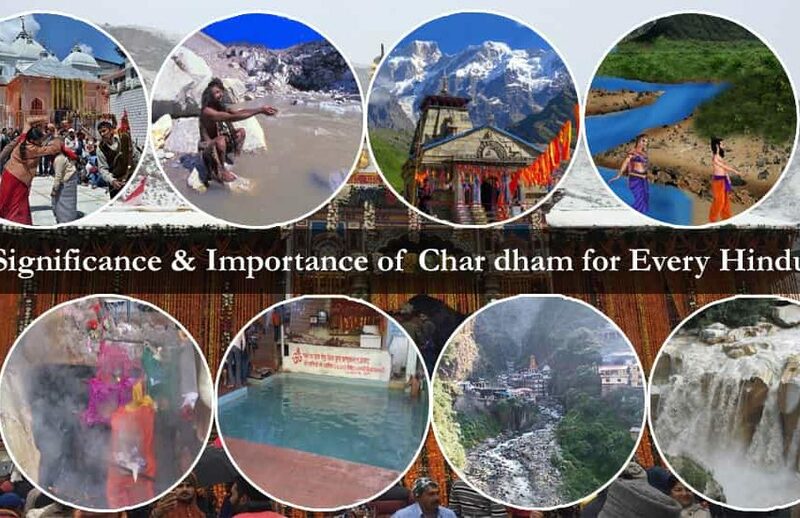 So, the ideal to embark on journey of Chardham Yatra is from mid-May to July and from September to November. One can take a flight from Delhi to the nearest airport to all these four abodes – Jolly Grant. The airport also has air connectivity to all the other major cities of India. From there, you can book a cab which will take to all these four places. If you are short on budget, then one can begin this journey by train also. Rishikesh railway station is the nearest station to all these four abodes, which is well connected to all the major cities of India. And from there you can book a taxi to visit all those four places. One can also take up the roads to go on this journey since all these four places also have a bus connectivity. It is a journey of finding yourself and connecting yourself with that divine god who could pick you from the ashes. It is more of a getaway that is believed to take to the doors of heaven. This journey is not only popular among Indians but foreigners also embark on this journey in the wake of finding themselves at the hand of all those supreme powers of god. If you are feeling all kind of lost in this life, then you can head on this journey to find yourself and have some spiritual walk. Thousands of devotees make their way to this spiritual journey only out of sheer devotion and pay their homage to the four abodes.